"After taking some time to review the Ultimate Workout And Recovery System, I'm certain that it would be tremendously beneficial for everyone especially as a tool to empower moms. For wheel chair or bed bound individuals, as well as anyone whether child or adult especially, moms just wanting a convenient workout and rehab regimen right from their den chair or couch, the ability to adopt a regular exercise or therapy routine means they can retain their physical strength and not lose muscle tone. As a Certified Holistic Life Coach, I recognize the importance of maintaining our physical form and how maintaining that balance translates into all other facets of our lives. I wouldn't hesitate to recommend this product as a means for ANYONE to become fit strong and empowered right from home!" Shelley Rohl is a Certified Holistic Life Coach who honors each person as an individual; working with them to develop a holistic lifestyle plan tailored to suit their unique goals & desires. Shelley meets clients where they are on their journey and empowers them to incorporate simple lifestyle changes that make a lasting impact. Her clients are able to stop circling - breaking free from repeating the similar patterns of behaviors that no longer serve them. She's a facilitator, allowing clients to let go of the resistance that blocks their joy, confidence, and ultimate satisfaction in life. It is her mission to help her clients step into the Greatness of who they are. Inspiring them to discover the essence of who they truly are - find their voice, and regain their personal power. Shelley is certified Reiki II and an Animal Empath. Meaning, she intuitively senses what animals are feeling physically and emotionally when she touches them and then uses that information to guide the healing energy. 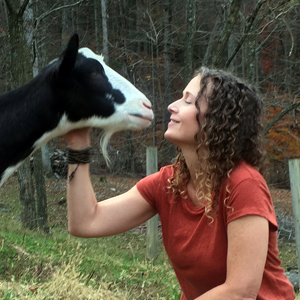 As the founder of the Blue Heart Sanctuary, she has extensive experience working with and healing companion and farm animals. Believing that ALL animals are sentient beings who emanate unconditional love, Shelley firmly holds that like us, they deserve to a life of peace, love, and compassion. Shelley provides in-person and distance Reiki healing sessions to people and animals all over the world. She offers sessions that focus on facilitating your self-growth in all aspects of life - high vibration nutrition, meditation & mindfulness training, and more. The Blue Heart Sanctuary was founded in 2001 by Shelley Rohl. The organization was originally located in Myakka City, Florida. Shelley was an animal cruelty investigator in Manatee County and many of the animals in our care have been the victims of unspeakable cruelty and neglect. After the numerous hurricanes in 2004, especially the close call with hurricane Charley, the decision was made to relocate the sanctuary and the animals to the mountains of Western NC. In June 2006, more than 60 farm and companion animals were relocated to the new site for the Sanctuary, a 40-acre refuge that has become a place of love and peace for these once abused and discarded animals. Our mission is to provide sanctuary to homeless, abused & neglected animals and to offer love and care to those rescued animals. We rehabilitate those in need and provide a lifetime of care and shelter for our residents. Our philosophy is the promotion of compassion and the humane treatment of all animals. Click Here for more info about Shelley Rohl and the Blue Heart Sanctuary.